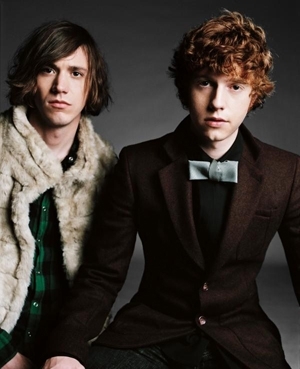 "Chester French, the hotly tipped dynamic pop act who recently released their debut album, have just released an exclusive performance as part of Zune’s “Green Room” video series. The behind-the-scenes and performance footage gives an intimate and no holds barred look at the band on stage and in their tour bus." If you haven't had a chance to check out the Zune Green Room podcast yet, you might be seriously missing out. The lineup so far has been awesome, with Adele, Mastadon, Janelle Monae, Duran Duran, Travis Barker and DJ AM, T.I., and Peter, Bjorn and John. Each series features some really cool answers and provides a bit more insight into the minds of your favorite artists (my personal favorites were the episode with Adele and Janelle Monae). Check out ZuneInsider for the lineup to the upcoming podcasts.